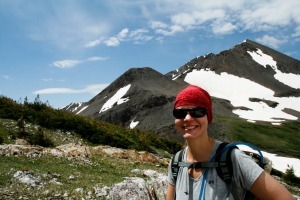 A mid-summer camping trip to Crested Butte. 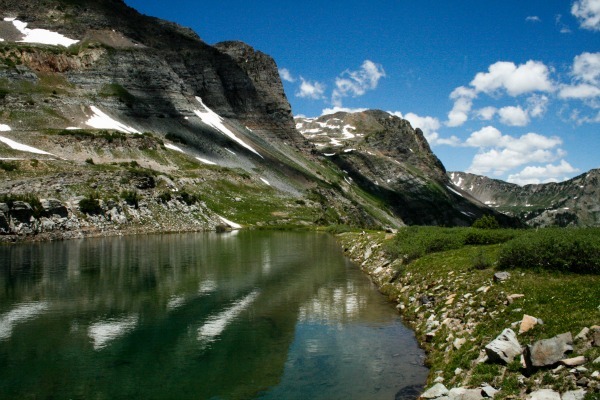 Blue Lake in the Raggeds Wilderness area. 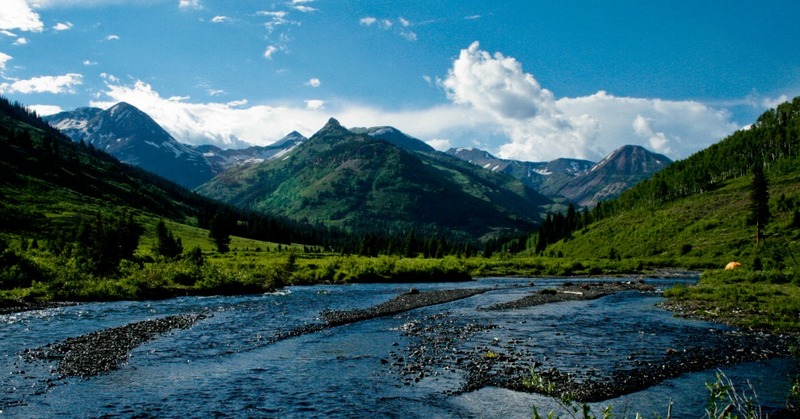 A hiking and camping trip to Crested Butte was exactly what the Doctor ordered. 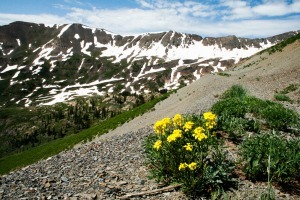 The mountains in the Raggeds Wilderness are amazing and the Wildflowers were stunning! The temperatures were getting hot in the low lying areas of Colorado. We knew we had four days of free-time coming up. A weekend of camping was on the schedule but the question was, where to go? The 4th of July holiday was just around the corner. Campgrounds were most likely already filling up. 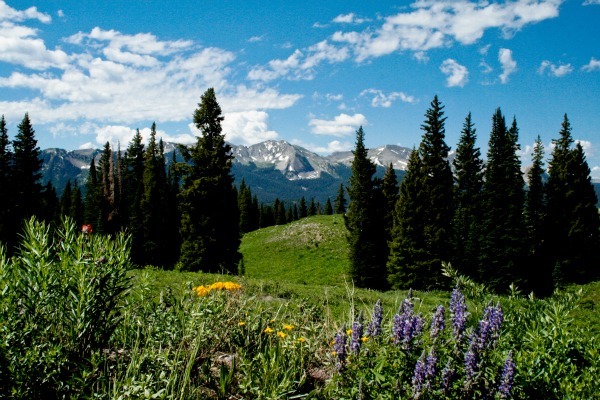 Our first thought was to head to the LaPlata Mountains. Unfortunately on the morning we were leaving, wildfire smoke filled the skies in that area. 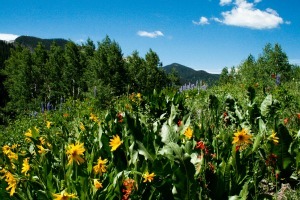 A quick change in plan, let’s head to Crested Butte. I remembered there being quite a few public land areas to the north of Crested Butte managed by the BLM and perfect to do some free camping. 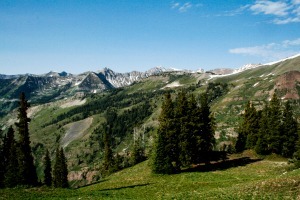 Also, we chose Crested Butte because it’s easy to go way up high in altitude, above tree line where the temps are cool. Crested Butte was indeed the perfect answer. We hung out in town awhile and enjoyed a refreshing wheat beer out on the deck of a local pub. The place hadn’t changed much since I’d been there a few years earlier to do the annual Pearl Pass Mountain Bike Ride. Picked up a good topo map by latitude40maps.com from the local book store and headed north past Gothic up Schofield Pass. 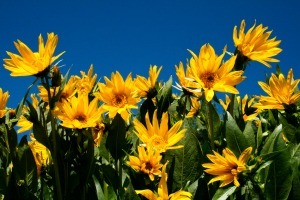 The fields of blooming wildflowers were some best I’d ever seen. We were looking for a camp spot and finally found one over the other side of the pass in Paradise Basin. Only one problem, the moment we hopped out of the truck we were greeted by millions of hungry mosquitoes. Made sense of course, it was a very swampy area. It was still early in the day so we threw on the bug repellent and started hiking up towards Paradise Divide along the 4WD road, about 2 miles. The first thing we noticed once we arrived at the top where all the beautiful free campsites with some of the best views. Best of all, fewer mosquitoes. We decided it was time to relocate our camping spot. Hiking back down we got in a bit of a downpour, but after not seeing a drop of rain in two months, it was a welcome feeling. Now back in the vehicle, we made our way up Paradise Divide from Schofield Pass. It’s a straight forward route but a high clearance 4WD is recommended. Coming up Washington Gulch from the other side is another possibility, 16 miles from Crested Butte. 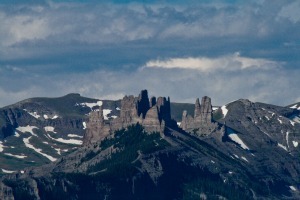 The follow morning was perfect for a hike up Yule Pass and Treasury Mountain (13,462 ft) from our campsite. Some of the snowfields were a challenge to cross but still manageable. Later in the day we headed down to camp on BLM land along the Slate River Rd. We set up camp along the river. Surprisingly, no bugs! On day three we hiked up to Blue Lake in the Raggeds Wilderness along the Oh-Be-Joyful Creek. It was a long hike but worth it. We were “joyful” afterwards when it was time to take the boots off our sore feet. A good soak in the freezing cold Slate River did the trick though. After picking up some supplies at the grocery we headed over Ohio Pass to camp. The forest is thick but there are a few places available to camp for free. On the fourth and final day we headed up to hike in the Lake Irwin area. Had we known there was so many great camping sites we would have camped there. Lake Irwin offers a nice public campground for about $12.00. 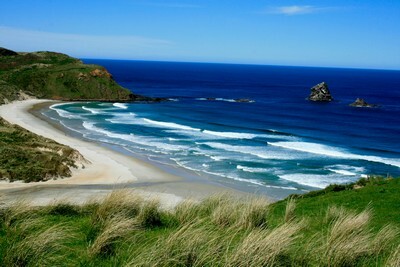 There are some free places to camp around there too but be aware there is lots of private land too. View from Irwin lake Campground looking south. From Irwin Lake we continued over Kepler Pass and home through Paonia. If you ever get the chance, camp at the Erickson Springs Campground, about 8 miles up from Paonia Reservoir. From the campground you can hike along Anthracite Creek up into Dark Canyon. This trail eventually goes into the Raggeds Wilderness area. The waterfalls are impressive late spring to early summer. 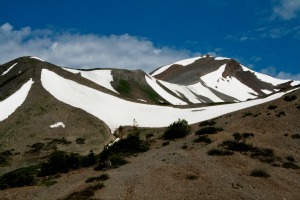 The road is excellent from Crested Butte up Kepler Pass to Paonia Reservoir and can be done with any vehicle. 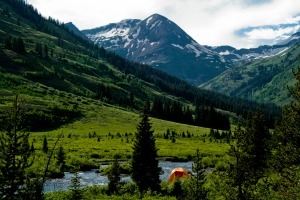 Click here to head from the Crested Butte page back to the Free Camping Page or here for the Camping Trip Ideas page.